Every 5 years companies lose an average of 50% of their customers (1 in 10 annually!) according to a study by the Harvard Business Review. This firstly means of course a good salesperson needs to always be planning to win new customers, but also ensure they are winning the right customers, with the right products/services in the right way. This creates a better chance that customers will stay with your company longer term. But even if everything about the sales process is right, customers still need to be actively retained. In CPM we have gathered 10 tips to help you win new customers as well as ensuring that you retain them longer term. Don’t fill every day with back to back sales calls. You need to leave time for preparation and reflection. Create some time to reflect upon recent sales contacts and identify at least one thing you did well in each. Think of the questions you asked, the body language you used, and the information you shared. After you’ve pinpointed the best and most successful behaviours, take the time to plan how you can do those same things in every other sales call you have. Your schedule should also contain a dedicated time for prospecting; even if keeping customers is of paramount importance, finding new ones will keep you sales skills sharp as well as mitigating any potential loss of customers. 2) Always prepare your call. Be clear what outcome you want from any initial sales interaction. If the sales process is likely to take more than one meeting, don’t play all of your cards at the first meeting as the customer may feel there is no reason to follow up. Although you should have all of the relevant information prepared and top of mind, you may need to leave yourself somewhere to go at a subsequent meeting, so don’t be afraid to hold something back if you are confident there will be a follow up meeting. This will add impact to a second meeting and may enable you to introduce something new to close the sale. Keeping up to date knowledge about your customer will help you find a hook to start a discussion and maybe figure out some common interest that could help you build a stronger relationship. When that connection is made, the customer/prospect will be impressed you took the time to do the research. Doing something as simple as setting up Google Alerts for your customer’s company or following them on Twitter will keep you well informed. Beyond the available information about your customer there may be some other underlying goals or principles driving their behaviour. Revealing principles or beliefs that are important to them will help you understand how you can best align with and prioritise them. This moves you from someone who is selling something to someone who is working with the customer to meet their needs. A simple but often forgotten technique to discover your customer’s goals is to use open or “umbrella questions”. Umbrella questions are questions that work in any selling situation and are designed to provide you with additional information. For example: Why? Tell me more. Can you give me an example? These types of questions are ones that get the customer talking more about what they’re looking for as opposed to what you think they might want to discuss. It may be an old fashioned virtue, but turning up on time to meet your customers is basic professionalism and creates confidence and a feeling of being valued. The same goes for scheduled telephone calls. Equally important is to follow up on any committed tasks from previous meetings or calls and being fully prepared for the meeting. 6) Work on your image. People buy people and part of that process is the “first impression”, which can be determined in a matter of seconds. How you dress, introduce yourself, make eye contact, smile and shake hands will all help the customer build an initial impression of you. No supplier is irreplaceable and several companies can offer the same product as you, so you need to make the difference! When you are selling to a customer in person or on the phone, you have to make sure your entire demeanour and voice reflects the enthusiasm and excitement of your words. Why would you expect a person to buy from you if you are not connected to and excited about what you’re selling? In B2B the important thing is not to sell a product or service but rather to sell an outcome, an objective, a benefit or an idea. After people have had time to experience your product or service you’re selling, they often begin to realize benefits they weren’t expecting. Having a long term view on the benefits of your product or service will help you keep your customer and enable you to bring him new ideas or solutions to the different issues they may be facing. So talk to your long-term customers and find out what additional benefits they’re experiencing. You may find it advantageous to use these in your future sales presentations. The main reason why customers leave their supplier is not price or product issues but in 68% of cases it was a lack of contact (no phone call, no newsletter…) . If the customer believes it is they who always has to contact you, they will perceive you as reactive and not interested in their business. Depending on the level of customer, schedule a weekly or monthly call just to check that everything is okay and enquire if there is anything you can do for the customer. It is also useful to have something interesting to share such as a latest market trend or insight from other clients with whom you are working. If you are worried about disturbing your customer, simply dial directly into their voicemail. In this way they know you have been trying to get in touch and will contact you when it is convenient for them. Many sales people leave an early morning voicemail so that the customer will pick it up as soon as they start their day. However, don’t overuse voicemail as nothing beats talking directly to your customer. Many customers are incredibly busy and often don’t have the time to be as up to date about their industry as they could be. This is an excellent opportunity for the salesperson to position themselves as an industry expert, with surprisingly little effort. One study maintains that by reading industry related content for as little as 30 minutes a day can position you as an expert in most industries, with notable exceptions being highly technical industries such as medicine and engineering. 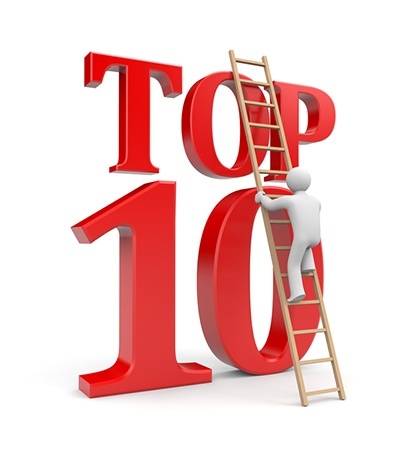 10) Make customers become sales advocates. The best way to make a sale is to have someone else make it for you. Customer advocates are clients that have been so impressed with your offer and your capacity to understand their needs that they recommend you to their connections. Ask yourself this simple question, “how many of my customers would spontaneously recommend me to someone else”. If the number is not high you have work to do; and by the way that customer is probably also at risk of moving to a competitor.